2018 has been an eventful year so far, as the Singapore stock market has shown an increase in volatility. Higher oil prices, rising US interest rates, trade tarrifs disputes between US and many other countries and the recently announcement of cooling measures that increased the Additional Buyers Stamp Duty and tightened loan-to-value limits on residential property purchases are just some of the things to recognise that changes are coming. How would all these developments play out? This is a crucial time for many investors. We are privileged to invite our All Time Most Followed Person – Li Guang Sheng on InvestingNote to share his thoughts and views of the markets. That’s why we’re holding this exclusive workshop for our community. Not only will you get to hear from Guang Sheng personally, you will also get to engage in an open dialogue and discussion session with him (right after his seminar). Be sure to sign up fast so that you do not miss the chance to interact with him! Mark your calendars for 24th July, Tuesday. Registration starts at 6.30pm. Mingle and network with other fellow users after the seminar. No refreshments provided. Limited to 50 seats only. Li Guang Sheng is a familiar face in our community, who has contributed to increasing investors’ knowledge with his insightful posts with over 4,000 followers! Guang Sheng has won many awards such as ranking 2nd in Yahoo Singapore Gazillionaire trading competition in 2010. He has won the Best Mentor for Phillip Securities in 2014 for guiding new trading represenatives and dealers, Phillip Securities Top CFD Specialist 2015 and many other awards over the years. He also conducts free investment seminars through Rotary clubs and career guidance seminars to youths wanting to know more about the Finance industry. He was featured on television and The Edge magazine. A former Director of Foundation of Rotary Clubs Singapore, Guang Sheng currently serves as the Vice Chairman of the Rotary Family Service Centre in Clementi, and is the current District 3310 Rotaract Chairperson and is very active working with youths. 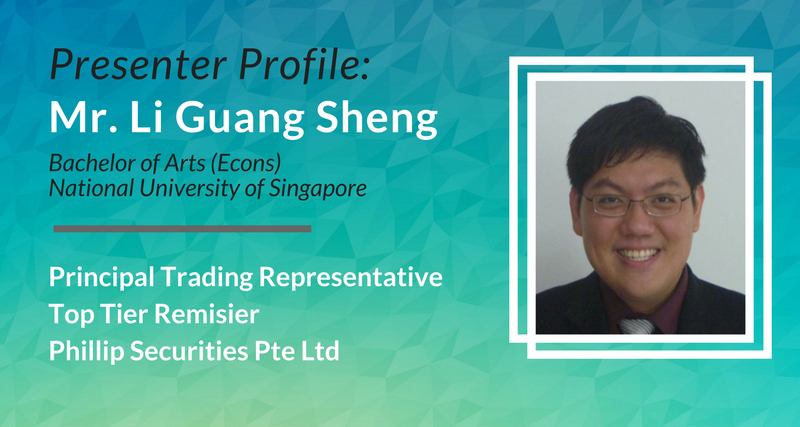 He completed his tertiary education at Temasek Junior College and pursued his Bachelors degree in Economics at National University of Singapore. 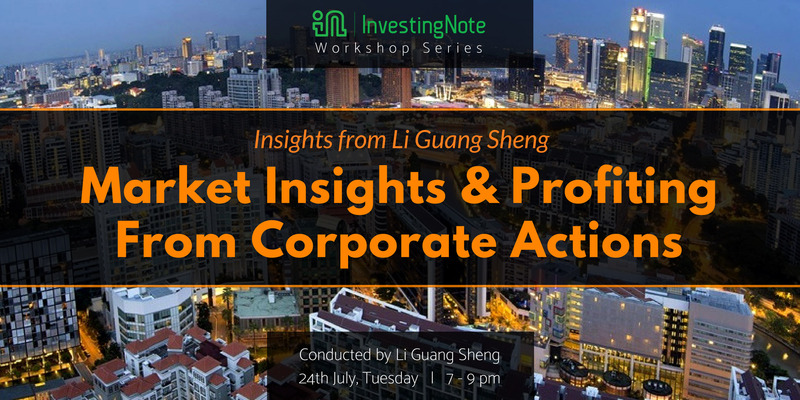 Guang Sheng’s forte is in value investing and fundamental analysis and spends a considerable amount of time looking for opportunities in SGX companies through their corporate actions. His client base includes high net worth individuals, hedge funds, listed companies, clan associations and retail investors. Check out his InvestingNote profile here.